Program updates bring new features, bug fixes, and major updates may include a polished user interface too. Take this with a pinch of salt as the updates are not always smooth. Some updates be a disaster for your PC. This tutorial explains how to downgrade apps when you are not happy with the updates. They continuously spread their support for new devices and devices not previously supported. If you had one of those devices, the updated app could bring new life to that device. Amid all this greatness, there are also issues with some new updates. Sometimes updated versions of some programs don’t work, but older versions do. Other times, you just don’t like the program’s new version, maybe due to a new interface or removing a specific feature. In these situations, the program may be downgraded. Here is a guide on how to downgrade programs in Linux Mint. There are two ways of doing this, one using the command line interface, and other using Synaptic Package Manager. 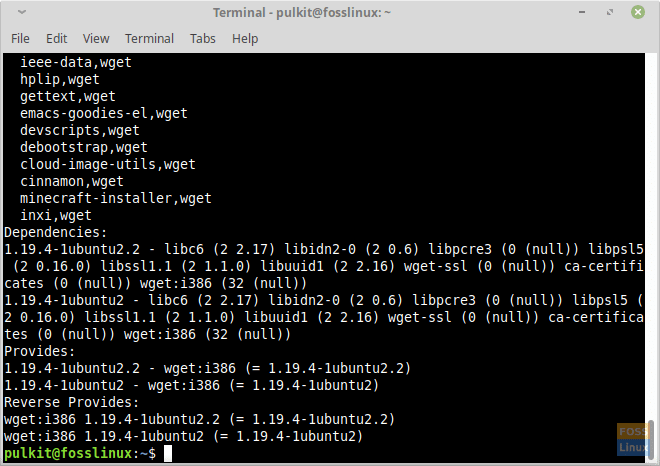 For example, I will show the downgrading of wget, which is a tool that is used to download any file on the internet, using the CLI. At the end part of the output, under the heading “Provides:”, the available versions of the program are listed. The terminal will ask for confirmation and will proceed when you enter ‘y‘. This will successfully downgrade the program. 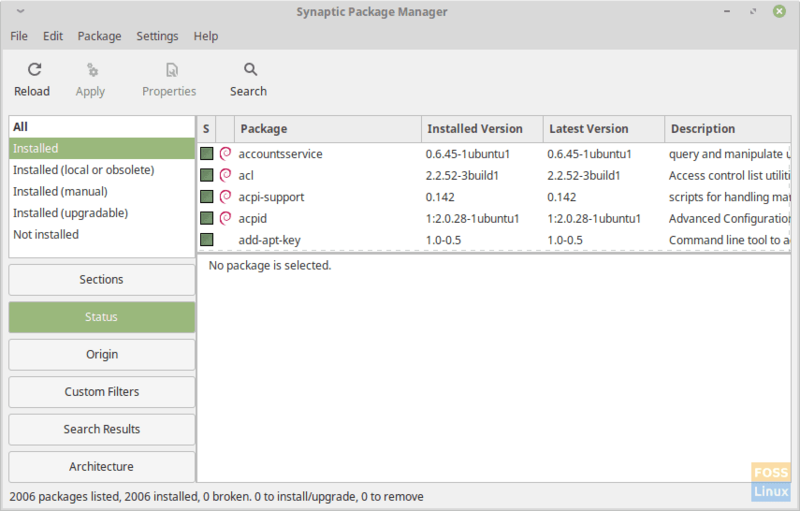 In the GUI Method, we are going to show how to downgrade package by using the Synaptic Package Manager. This program comes installed by default in Linux Mint. Open the program, enter the password when prompted, and click on the ‘Sections‘ button of the left panel. Go into the ‘Installed‘ sub-category, and you’ll find a list of practically all programs on your system. Look for the program that you want to downgrade. You can also search for the program. I will again use wget as an example. Select the program, and click on ‘Package‘ in the menu bar. Now click on ‘Force Version…‘ option, and you’ll get a dialogue box displaying the list of available versions of that program. Select a version, and click on ‘Force Version.’ Now click on ‘Edit‘ in the menu bar and click on ‘Apply Marked Changes‘. This will accomplish the downgrading of the program. But downgrading is made easy using Synaptic, as it installs all required dependencies by itself after selecting the version. Specific situations still require downgrading programs, although rare. It’s also made harder because of some more factors. For example, to downgrade a program A that depends on a program B. Older A version will require a specific older B version. But if that B version isn’t available, you can’t downgrade A as the dependencies aren’t met. Although a bit tricky, if you’re lucky, you’ll find and install an older version of the program you want. If you have any questions or comments, please consult the comment section. Cheers!